Fashion designer Gabriela Hearst is passionate about beautiful clothes, but there is something else she feels even stronger about: quality and, most importantly, sustainability. 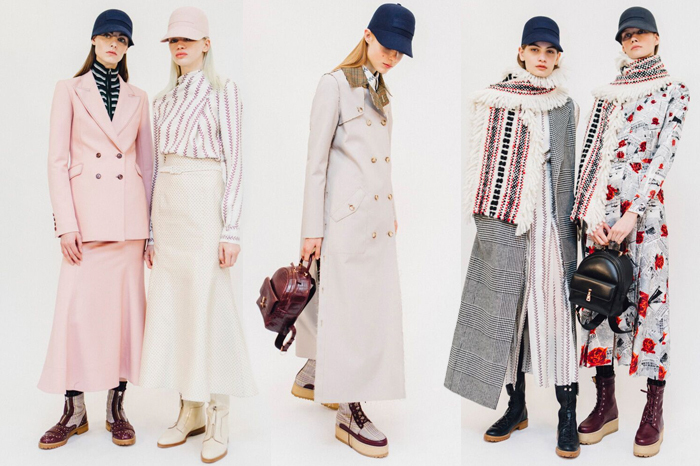 From growing up on a ranch in Uruguay (one that she inherited in 2011), to starting contemporary brand Candela in 2004, to launching her eponymous luxury label in 2015 and winning the 2016/17 International Woolmark Prize shortly after — the now New York-based designer has certainly came a long way. Through it all, her deep connection for the environment remains, because amidst those modern, clean lines and lean silhouettes that have the fashion world entranced, is an array of opulent but ethically sourced fabrications making each of these pieces an even worthier investment. Her handmade sculptural leather bags, for example, are produced only in limited quantities due to ecological concerns, despite there being a waiting list of over a thousand shoppers all year round, with each of them waiting desperately to get their hands on one of these cult favourites. What is it that makes Hearst so determined to be involved in making the world a better place, no matter the cost? Well, we’ll let her explain it in her own words: Read on for our full interview with the talented designer, in which she talks about sustainability, politics, and why true luxury is one of the major keys to saving the planet. 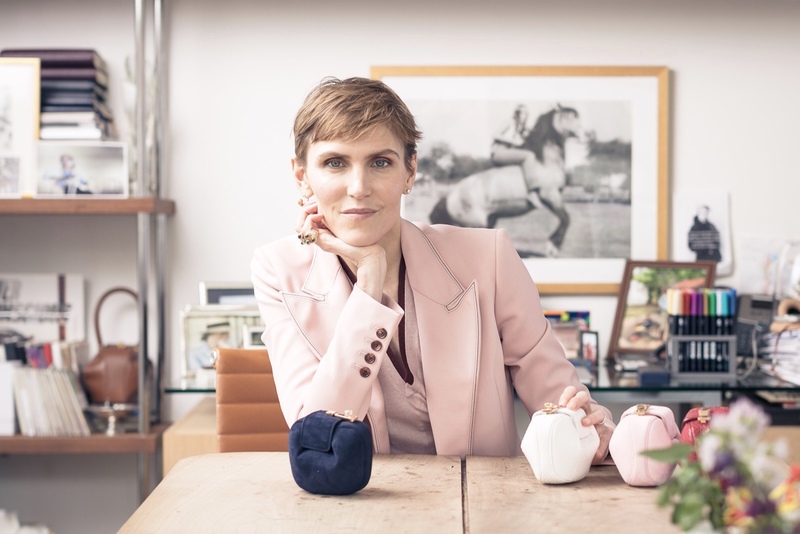 While many designers build a younger line after establishing a luxury brand, what you did was a little different; can you share with us why you went from Candela to starting Gabriela Hearst? When I started Candela I was very young, I studied in 2003, we started from scratch, we had very limited funds, so we had to start it in the contemporary world because that’s what we could afford. Then we developed it into a business that actually supported my life and we started employing people. As I grew up I really wanted to work with the most refined fabrics and materials, but you can’t really push that on a contemporary brand. It was the real passion of starting a product with top materials and craftsmanship that I wanted to work on, so it only meant that we had to start again, and it had to have my name on it. I know you’re a firm believer in sustainable fashion, was it your upbringing on a ranch that influenced you to have such strong ethics? Yes, exactly. When my dad passed away and I inherited the ranch, I had to spend more time there. We are Merino wool growers and we also have grass-fed organic beef. It’s an organic ranch and we produce premium materials, so the way we were crafting our products and also the quality of our products did not align to what I was doing with Candela in New York. I wanted to take the values that I’ve learnt on the ranch relating to sustainability and respecting materials and apply that to fashion. Gabriela Hearst accommodates all my dreams and passion for quality, materials and design that exceed the test of time, so it’s a direct relationship. I’m a big supporter of buying few but of high quality. I was one of the first to start saying to our clients ‘Don’t buy that much, just buy one really good sweater’; it’s more important to buy quality than quantity. That’s also because I come from a country where we have only 3.5 million people, so we always go for things of quality. I didn't know you also grow Merino wool. There's actually a huge rise in awareness towards using this type of wool. Since you have also previously won the 2017 International Woolmark Prize, can you share more about Merino wool and it's benefits? Merino is the most refined type of wool yarn that you can find. It can actually be even thinner than cashmere. I was wearing a Merino t-shirt that’s actually 14.5 micron, and that’s super super thin. The reason why I competed for the Woolmark Prize was because I wanted to show people how luxurious wool can be, and I really wanted to break that stereotype association of wool and your grandmother’s sweater. Wool can be extremely fine, and right now it is frequently used in high performance sports because it is able to absorb water without giving hypothermia and has anti-bacterial properties, so it does not smell so much and you don’t have to wash it as much. It also regulates your body temperature, so if you wear a very thin Merino sweater in cold weather, it will warm up your body; and if you’re in hot weather, it does the other way round. It has these very special qualities and I was very passionate about being able to communicate that to the world, because right now in the landscape of yarns, Merino only makes up 1.75% of all fibres used, and it’s an incredible fibre that I believe is going to help us in the future. It's very interesting because to a lot of people, wool is still solely associated with winter. Yes, but in fact this dress I’m wearing is made of wool, so are our suits. It is season-less. It is resilient, it is biodegradable and it is of quality. I have wool in all my seasonal collections. 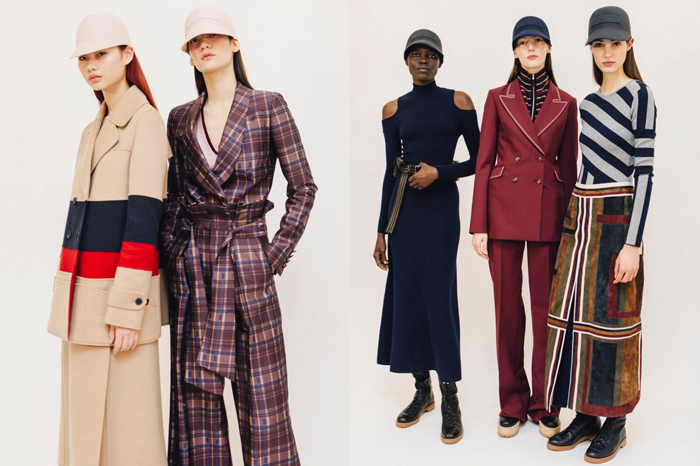 Gabriela Hearst’s Fall/Winter 2018 collection, with designs inspired by female coal miners and women factory workers from World Wars I and II in the 19th century. How have you incorporated this belief of sustainability into your creations, from design to fabric sourcing and production? Luxury is sustainable. It’s about using true materials that are crafted at the outmost of their quality, and the other part of it is who is making it. So we are very mindful of the materials that we choose: We stay away from polyester and any materials that are not certified, and we try to use linen that’s been treated with aloe because it sources less water than cotton. Another stereotype that I want to break is that when people think about sustainability, they think granola and tree-hugging, but actually high luxury itself is sustainable, because you are using premium materials with considerations. So, in my view, you can have what I call a hedonistic sustainability where you have pleasure, design, and beauty all together with sustainable practises. They don’t go against each other, they actually live in the same world. The idea of sustainability stresses upon longevity, and that also includes timeless style. What’s your opinion towards all this hype in street-inspired design in the luxury fashion world right now? First of all, I don’t follow trends, I really believe in trying to achieve timeless design, and that means you need to have a deep understanding of history, that you’re present and you have a vision of the future. For example these gold earrings I just bought are from 3rd-century Greek, but they still look extremely modern, or I have this coat that’s hanging outside for a client, and it has a design that will last a lifetime because the material and the craftsmanship is beautiful. If you are going to invest in our pieces, it will be pieces that are going to last for the rest of your life and not be tied to a trend. What do you think is the definition of true luxury? Do you think the concept of luxury has been blurred a little nowadays? For me, the word ‘luxury’ has been thrown away, you know, it’s just here and there. Just because something has a high price point does not mean it’s luxury. You cannot call yourself a true luxury designer if you do not understand where your materials are coming from and who’s crafting. You may be a fashion designer, but a luxury designer needs to understand the source of their materials, the techniques and all the processes, rather than just the look of a beautiful dress that is hanging there. It has to stand for something more. 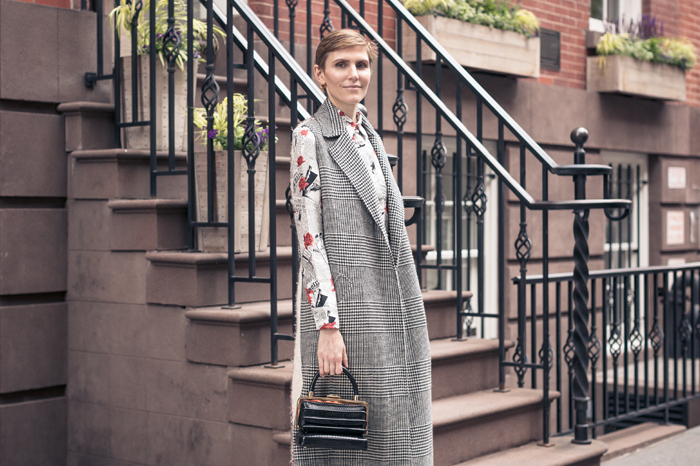 Who are the women who wear Gabriela Hearst? We are very lucky, we have a great array of women that wear Gabriela Hearst. I’m always excited to see anyone wearing our clothes, and I’m always humbled and happy when I hear a client buying as much as 24 pieces — they are such fans. I do, however, have a special place for women that use their lives for the service of others. We’ve had Oprah wearing our clothes, we’ve had Queen Noor of Jordan, Dr. Jill Biden, and Cecile Richards, CEO of Planned Parenthood. I think they are great role models to all of us, and it’s a great honour to have them wear our clothes. When you think about what to wear for the day, do you start from the accessories or the clothes? I don’t really think anymore, I just put it on, because I have to leave my house by 7:30am to take the kids to school, so thank God I have a wardrobe of nice Gabriela Hearst clothes that I can just put on, and it works out so I don’t look like a complete fool. I did cut my hair because I used to forget to brush it and I would leave the house with a huge knot, so that’s been avoided. At least now I can be sure that my hair is short and teeth are clean. So what do you think are the wardrobe essentials for busy women like yourself? I think a suit and a t-shirt. It’s a great combination, and you’re going to look sharp. It looks great during the day, and even if you need to go for dinner, you will look equally sharp as well. I think a good tailored suit that has a modern edge, such as a pair of suit trousers that we have that folds at the waist, which you can wear with heels or flats. Match it with our double-breasted suit jacket and it will be an outfit that will last you a long time, no matter for day or evening wear. 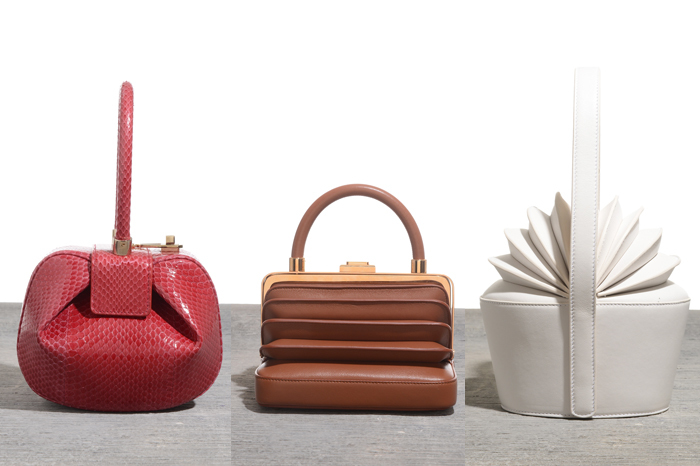 Your Nina bag has a huge cult following with an extensive waiting list. What do you think made it so successful and why do you refuse to sell any of your bags at other retailers but your own? I say this humbly: I think it has a unique design, it’s very attractive, and that makes people happy; at the same time, it has a utilitarian aspect, because you can pack that bag with so many things. We are also very careful to not over distribute so to avoid over saturation. We have the opportunity to sell to everyone and make millions and millions of dollars, but we choose to see this in a long-term perspective, which aligns with our company ethos. It also comes with our belief in sustainability, as we realised it’s better to make less for the preservation of natural resources, so we make sure we are extra selective of who we partner with. Why are you making this exception with Lane Crawford? And can you tell us more about the Rafaela clutch that you've created exclusively for the retailer? Lane Crawford stands for luxury in Asia, and it shares the same values with us. It’s a 108-year-old brand that thinks long term, so I think it is the perfect representative for us. We wanted to design something special that we can launch exclusively for customers at Lane Crawford. Something sweet, something cool; something that is well-crafted so that you can give to your daughter. It’s actually a coin purse instead of a clutch because you can’t put your phone in it, but you can store your credit cards, your lipstick, and it can fit inside all of our bags. If you’re wearing our blazer, you can actually put your cellphone inside the pockets as they are all lined with anti-radiation materials, so it’ll protect your organs from the cellphones. I thought the Rafaela (HK$7,400-9,100) would be a cute little object to have and to even collect. Many fashion designers around the world have been taking a stand towards the political and social climate through their designs, and you have as well with your previous contribution to Planned Parenthood. What do you feel about the current zero tolerance policy in the US, seeing that you’re also an immigrant in the country from Uruguay? It’s absolutely awful and terrifying about what’s happening in the US, and this issue is a broader problem. Let’s call it for what it is: It’s a racist stand. Right now there is a huge problem of refugees in this world and it’s all based on climate change. We’re going to use Syria as an example because most of these refugees that we have worldwide come from Syria, and I think the number right now is 65 million. It’s a nation of people that have to flee where they come from because they simply can’t live there anymore. There’s no food, no water. Climate change is producing this, the problem is not going to go away. We are going to have a refugee problem, and we are going to have to think openly, because it’s going to affect all of us at one point, and I don’t believe that we should be closing ourselves and not dealing with it in a proper way, especially for America, which is a country that was founded by immigrants. Unless you’re Native American, everyone in America comes from another place; so just as the United Nations Human Rights committee said: What they are doing is unacceptable, and it does not represent American values. This policy is only represented by a very small group of voices right now in the government through the Trump administration, which is a radical outcry of racist values, period. So what do you think people in your industry or anywhere can do to help solve this problem? Vote. We have elections in November, and I think we need to go and show those representatives that those values are inappropriate for the 21st century; how we should evolve as humans, as a society, and that we want to live peacefully with one another. So we vote for those candidates that are pro for controlling the gun violence in the US, pro for having measures for climate change and obviously who understand the problem we are having with migration and have good reform policies making it easier for people that have fled their countries due to violence and climate change issues. What about the rest of the world? Since many of these issues stem from climate change, do you think your promotion of sustainability and environmental conservation can help? I come from the principle that we are all interconnected much more than we’re actually aware of, so I believe everyone has the responsibility, no matter large or small. You need to do something to help others in need, and climate change is one of our biggest concerns. I come from a country where you leave your children better off than wherever you started, and I don’t feel that we are doing this for the next generation, so I’m involved very closely with Save the Children. Last year, I went to witness the drought in Africa that put 20 million people in the risk of famine. It might be minimal to the problem, but through an initiative that we did with our handbags, we at least managed to raise funds which were able to feed a thousand families in the north of Kenya, while drawing attention to all the problems that weren’t entering the news cycle all because of the political scene and Trump. There are so many catastrophes happening right now that are climate-based that we are not hearing about in America, such as the floods in India. Climate change is real, it’s happening now, and it’s affecting those who have less first, but it’s also going to affect all of us. Obviously I am attracted to beautiful products and design, but the responsibility of having to stand for more than just clothing, and to bring awareness by using this platform that I have is important to me. What's next for Gabriela Hearst? We’re launching a small capsule collection for men in September, and we are opening our first store on Madison Avenue this November. It’s at the Carlyle House next to the Carlyle Hotel. It’s really cool because it’s got two doors facing Madison Avenue, and two other doors that connect you to the hotel, so you could actually have martinis from the Carlyle while you shop. After that we are going to jump quickly into opening our second store. Follow your bliss if you’re lucky in this life to have the privilege to do something that you love — not everybody has that chance, and to always be grateful for what you have because it might not last.